BOSTOCK, HEWITT, rancher, businessman, and politician; b. 31 May 1864 in Walton on the Hill, Surrey, England, eldest son of Samuel Bostock and Marian Iliff; m. 12 June 1890 Lizzie Jean McCombie Cowie in Surbiton, England, and they had four daughters and three sons; d. 28 April 1930 in Monte Creek, B.C. Hewitt Bostock’s father, Samuel, profited handsomely from investments on the London Stock Exchange during the mid-Victorian boom. His success allowed him to move his family to The Hermitage, in the parish of Walton on the Hill near Epsom, where he cultivated the style of a country squire and where Hewitt was born. Although Samuel died when his eldest son was only four, the family’s substantial fortune did not fail. At the age of 10 Hewitt was enrolled at a boarding school in Brighton and he subsequently studied in Guildford. His early education was followed by a mathematics degree at Trinity College, Cambridge, which he attended from 1882 to 1885 and where he would obtain an ma in 1890. Despite a bout with pneumonia, contracted whilst on a climbing expedition in Switzerland in 1881, he demonstrated ability as a rower at Cambridge in 1883. Bostock accumulated diplomas, but gives the impression of an intellectual dilettante: he obtained only a third in his ba, and although he would be called to the bar in 1888 by Lincoln’s Inn in London, he never practised law. In 1886 Bostock made his first foray to Canada, travelling with his sister Marian Iliff (May) and some friends. Touring Ottawa, Bostock inspected the Parliament Buildings and saw the Conservative prime minister, Sir John A. Macdonald* (whom he described as “a fine-looking man”). An Anglican, he also made connections with Canon William Henry Cooper, who the next year took over the Church of England mission in Kamloops, B.C. It appears to have been this meeting that led Bostock to visit the Thompson valley in 1888, part-way through a tour of North America, the Antipodes, China, and Japan. During this visit he purchased the ranch of Jacob Duck, an English settler, for $45,000. Possibly he viewed the property at Ducks, as the area was known, as little more than another investment in an already bulging portfolio, an exotic revenue-generating retreat on which he would vacation from time to time. In 1890 Bostock and his new bride, Lizzie, spent part of their honeymoon at the ranch, and they repeated the visit in 1891. Two years later the Bostocks moved from England to British Columbia, where they erected a fine home in an exclusive Victoria neighbourhood, leaving the ranch in the hands of a manager. Although a Conservative in England, Bostock found in Canada that he preferred the Liberal policy of freer trade to the tariff that Macdonald’s government had introduced. In April 1894 he established the Province newspaper in Victoria, which ran as a weekly and was critical of the National Policy. That September Liberal leader Wilfrid Laurier* visited British Columbia and persuaded Bostock to run for parliament in the Yale-Cariboo constituency. The decision to do so led him to spend more time at Monte Creek, as Ducks was now called, where he built a generously proportioned ranch house for his growing family. Around the same time he established the Kootenay Lumber Company. By 1895 he had made a sufficiently good impression on the locals that he was elected first president of the Kamloops Agricultural Association. 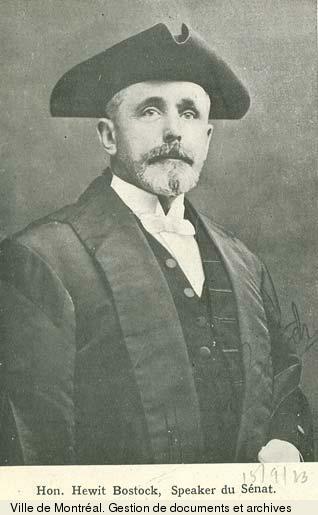 The 1896 federal election saw Bostock take up his career in politics. He quietly purchased the Kamloops Inland Sentinel, setting up Francis John Deane, a Liberal, as his editor. With Bostock in the shadows, Deane ran an effective and expensive campaign against the powerful Conservative incumbent, John Andrew Mara, while Bostock visited one hamlet after another. Having spent $1,350 to Mara’s $500, Bostock won the election with a comfortable majority and served a single term under Laurier, acting as one of the caucus whips. Otherwise, his principal claim to fame as an mp was the introduction of a bill that, had it passed, would have formalized the practice of railway companies carrying parliamentarians free of charge. Like many of his contemporaries, Bostock was vocal in his opposition to further Chinese immigration to Canada, which he viewed as a racial, social, and economic threat. He also regarded southern Europeans with contempt, claiming in 1897 that “the Italians were nearly as great a menace as the Chinamen.” Bostock did not seek re-election in 1900. At the turn of the century Bostock made two important moves. First, in 1898, responding to entreaties from the business community in Vancouver, he established a daily edition of the Province on the mainland, running it in partnership with Walter Cameron Nichol (to whom he subsequently sold his interest). Second, he disposed of his house in Victoria, and moved with his family to the Monte Creek ranch. Bostock found further opportunities to invest locally, becoming president of the Tranquille Creek Hydraulic and Quartz Mining Company Limited and building two business blocks on Kamloops’s Main Street. In 1904 Bostock was appointed to the Senate. Ten years later he became leader of the Liberals in the upper house. 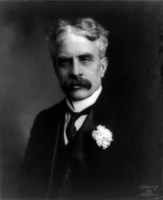 Along with most of his party, he opposed the Naval Aid Bill of 1913 and the War-time Elections Act of 1917, both introduced by the Conservative government of Robert Laird Borden*. In contrast to his earlier nativism, he objected to the cynicism of the latter bill in so far as it disenfranchised loyal immigrant Canadians. Nonetheless, he threw in his lot with the pro-conscription forces and travelled the west in 1917 advocating a union government. (The previous year his son Alexander Hewitt had been killed in action in France.) 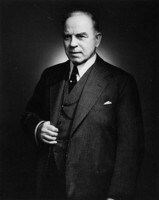 Bostock entered William Lyon Mackenzie King*’s first cabinet as minister of public works in late December 1921, a position he relinquished a little over a month later when he became speaker of the Senate. By that time Bostock had achieved some notoriety as an opponent of railway nationalization. In 1925 Bostock was one of Canada’s delegates at the sixth assembly of the League of Nations at Geneva. A young man when he had entered politics, by the time of his death in 1930 he had outlived all but a handful of his contemporaries from the Laurier government and was one of the most senior members of the Senate. Described in his obituaries and memorials as “courtly,” a “country gentlemen,” and “a man of culture, ability, genial disposition and fine presence,” Bostock appears to have made a career out of being stately. His associations included the Canadian branch of the British Empire League, the Canadian Forestry Association, the Interior Stock Raisers’ Association of British Columbia, the Rideau Club in Ottawa, the first golf and badminton clubs in Victoria, the masonic lodge, the Alpine Club of Canada, and the St John Ambulance Association, of which he was national president at the time of his death. In addition, he was a fellow of the Royal Colonial Institute and Royal Agricultural Society of England. As patriarch of a family that included three sons and four daughters, he emphasized the advantages of further education: two sons obtained engineering degrees (and one of them a phd in geology) and his eldest daughter trained at the University of London and practised as an md in London and India. Hewitt Bostock died of uraemia and was buried on his Monte Creek property, in the family cemetery near the small wooden church he had built in 1926 in memory of his son Alec. In 1932 a mountain about 100 miles to the southwest was given the name Mount Hewitt Bostock. Kamloops Museum and Arch. (Kamloops, B.C. ), Vertical files, Bostock family. Inland Sentinel (Kamloops), 4 Sept. 1896; 12 Feb., 30 April 1897. Times (London), 14 June 1890, 30 April 1930. Mary Balf, Kamloops: a history of the district up to 1914 (3rd ed., Kamloops, 1989). A. L. Earl, “Monte Creek: the western frontier: politics, murder and robbery,” in Reflections: Thompson valley histories, ed. Wayne Norton and Wilf Schmidt (Kamloops, 1994), 131-34. Standard dict. of Canadian biog. (Roberts and Tunnell). John Douglas Belshaw and Elisabeth Duckworth, “BOSTOCK, HEWITT,” in Dictionary of Canadian Biography, vol. 15, University of Toronto/Université Laval, 2003–, accessed April 26, 2019, http://www.biographi.ca/en/bio/bostock_hewitt_15E.html.